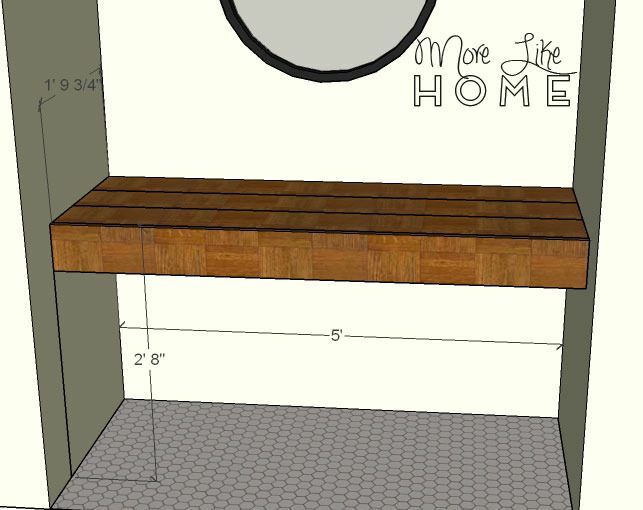 Today we're hacking a modern vanity that will span the whole wall. It would also make a sweet modern desk in an office or homework space. This is different than things I've hacked before, it's more of a built-in than a piece of furniture, but these vanities have caught my interest a few times so I figured it was worth a hack! This tutorial will work a little differently than the ones I've done in the past because this vanity will be super space-specific. I can't tell you how long to to cut the boards because it will depend on your space. But I can tell you exactly how to figure out what size you need, and how to put it all together (which is easier than you might think). So let's get started! Before you do any building, you need to measure your space. This vanity needs to run from wall-to-wall (or have a leg at the other end to support it), so it's great to tuck in an alcove. So start by measuring the width where you want it to fit. For this example, its 5' long. So cut two 2x4s 5' long. This will be the front and back of your frame. Now you need to make a few cross supports. 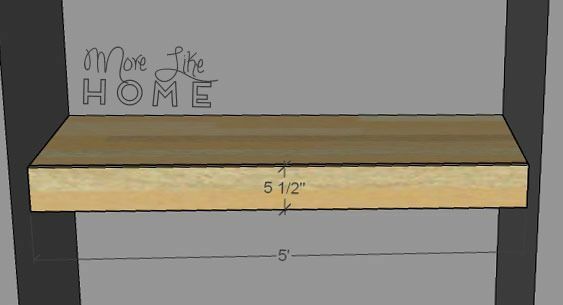 For this example I'm planning on using 1x8's for the top, so my supports will be 18.75" long for a total finished depth of 21.75" (22.5" once you add the trim later). 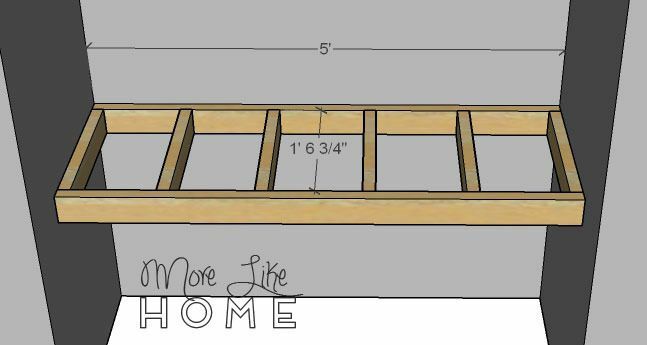 If you plan to buy a pre-fab vanity top you'll probably need a finished depth of 21" deep so your supports should be 17.25" long instead. Cut enough to support the width of your countertop - plan on spacing them 12-16" apart (closer for a heavier countertop, wider for a lighter top). Once your frame is complete you can install it into your alcove. 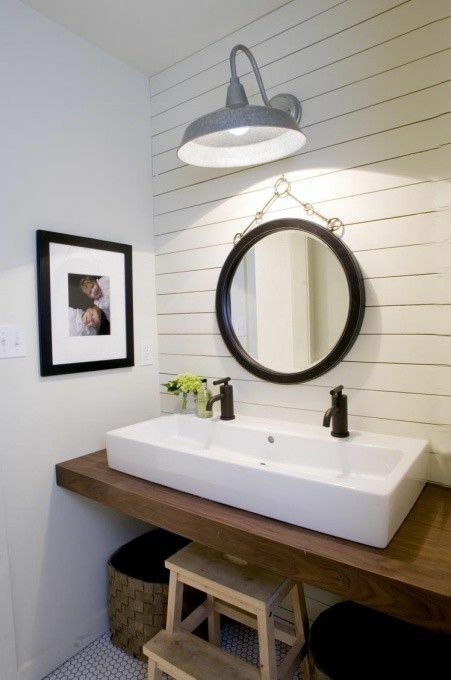 Standard height for a vanity is 30-32" from floor to countertop (but with DIY you can make it whatever height you like! Many people prefer a slightly higher vanity, around 36", but shorter is great for kids). Just make sure your frame is level at whatever height you choose. Attach the frame to the wall by drilling through the back and sides into studs in the wall with 3-4" screws (depending on the thickness of your drywall). Hit as many studs as you can to help distribute the weight. Now you can install the top. My favorite method is three 1x8s side by side. 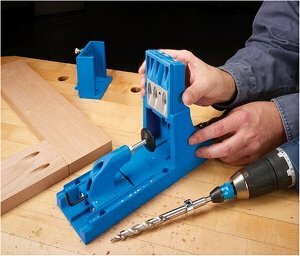 You can attach them together with a Kreg Jig. Mine are cut 5' long to reach from wall to wall. Then use the Kreg Jig to attach the countertop from below (or attach them with glue and finishing nails if you don't have a Kreg!). 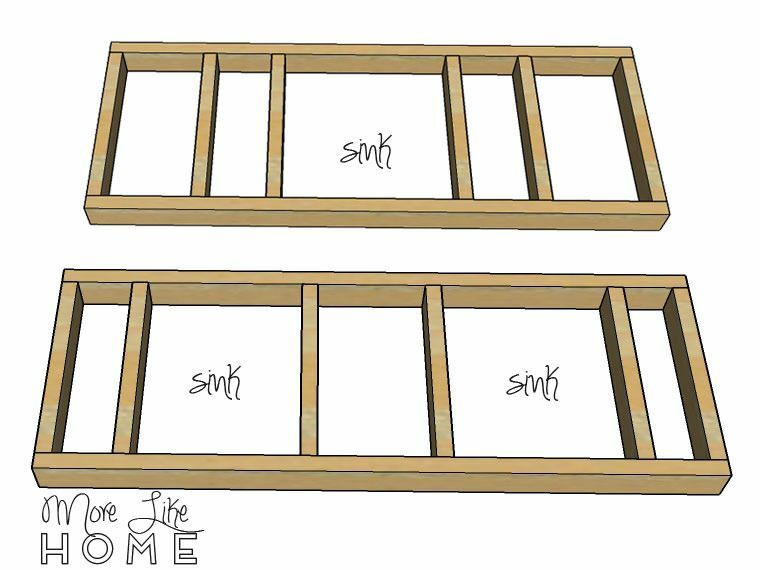 Use your sink template and a jigsaw to cut out your sink openings if needed. 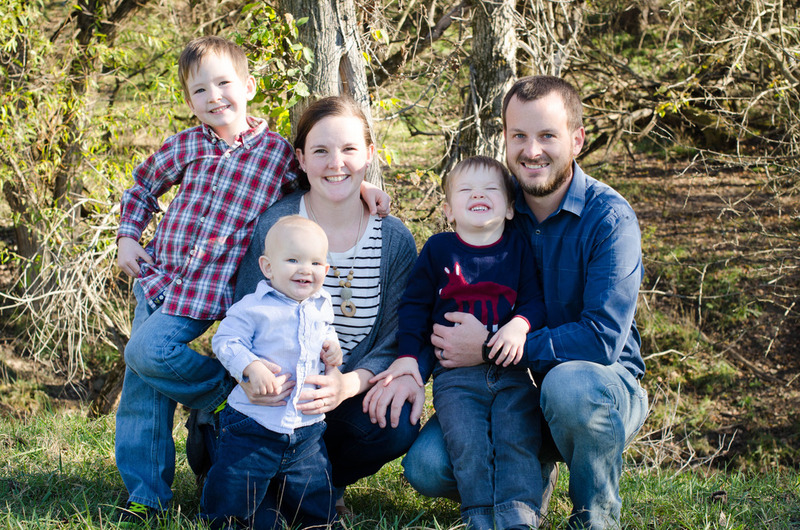 The other wood option is a pieces of 1/2 - 3/4" plywood cut to fit the frame. You can also try a DIY concrete top (make sure you leave sink or drain openings as needed!) or purchase a prefab or custom countertop to put on your frame. Now cut a 1x6 to the length of your frame (5' for me) and attach it across the front of the frame and wood top, flush along the top edge, with glue and finishing nails. 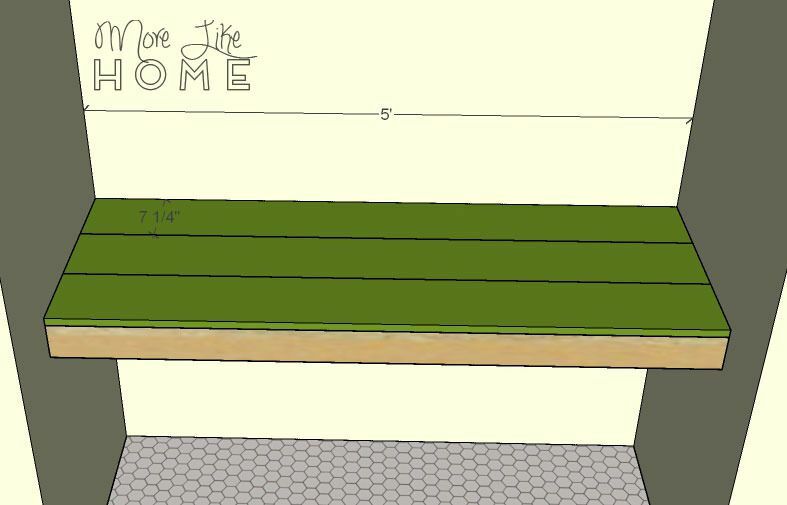 This will give it a seamless look from the front, and is especially important to hide the yucky edge if you used plywood. Note: if you are using a concrete or prefab top, you should install this board flush with the top edge of the frame and let your countertop sit on top of it. Now you can finish the vanity however you like with paint or stain and a good polyurethane. Just make sure you pick a good, water resistant finish for the bathroom! Then all that's left is installing your sink. Once your vanity is done you can finish off this look with a few key details! 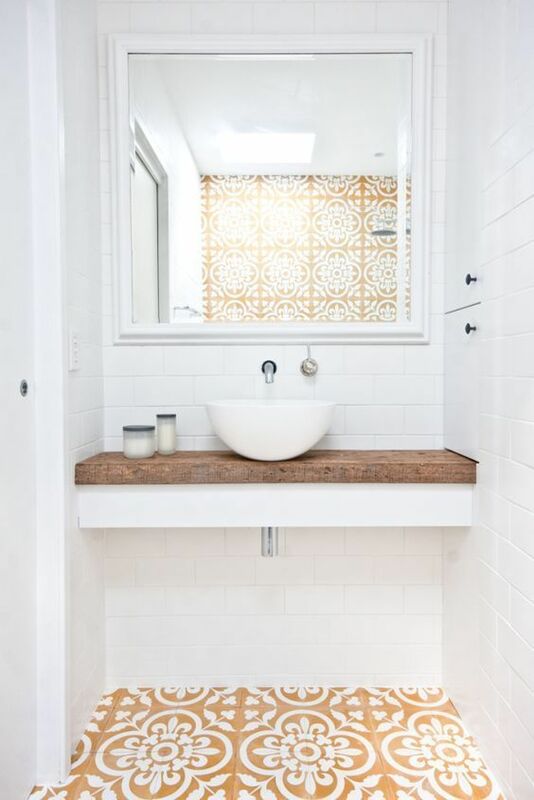 Try a square white vessel sink in either a single bowl or double wide bowl and an ORB faucet for contrast. Use a rustic barn light to bring in a little charm. Add texture (plus storage!) 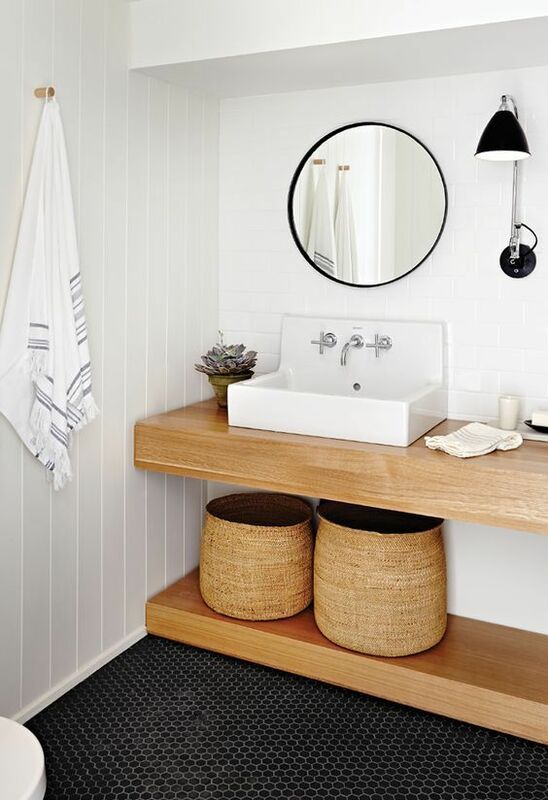 with some large baskets to hold towels or toilet paper. Go bold with a black framed mirror like this or this. And don't forget to bring a little life to the space with some greenery! If you don't have a green thumb, Hobby Lobby has some great faux floral like these hydrangeas. 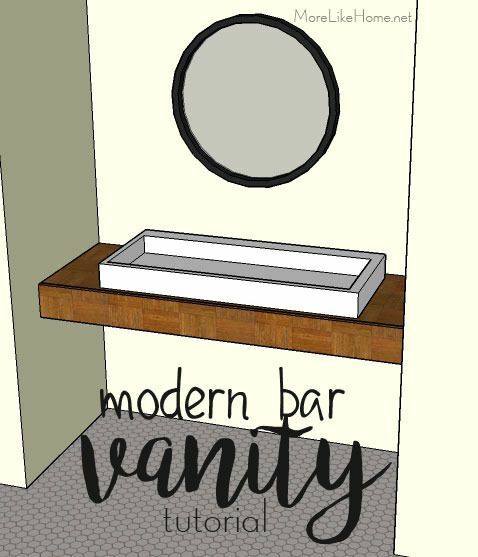 For more inspiration, here are a few more of my favorite vanity bars! 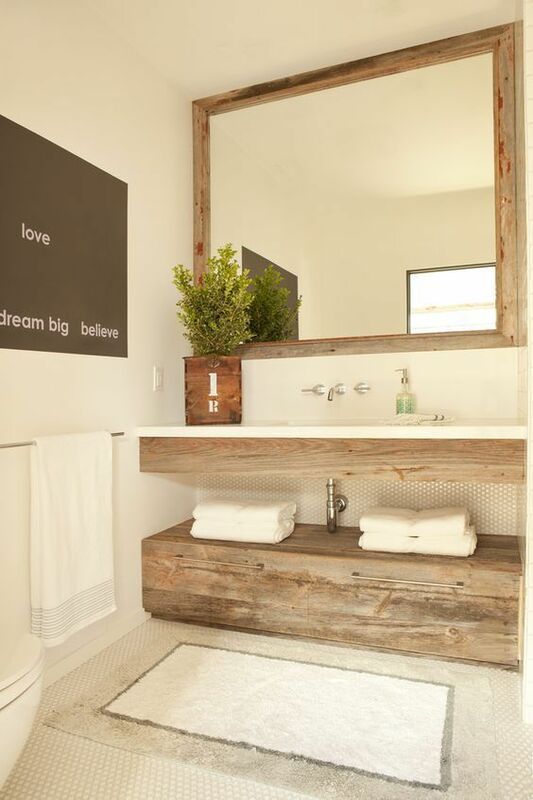 This one combines rustic wood with a clean white countertop and wall-mounted faucet. You could get this look by staining beefy 2x8s for the top and painting the trim board white. And I love the stenciled floor! 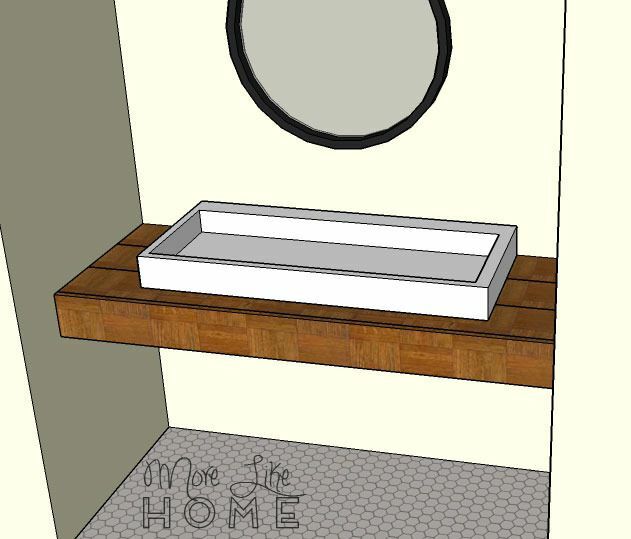 You can even add extra storage by installing a second bar below the vanity as a shelf. Whatever your style, this is a versatile piece that is easy to make your own. Happy hacking!